I am a bonafide self-proclaimed cumber*****, or as Ben would like it, a cumberbabe, or in my case, a cumberdude. 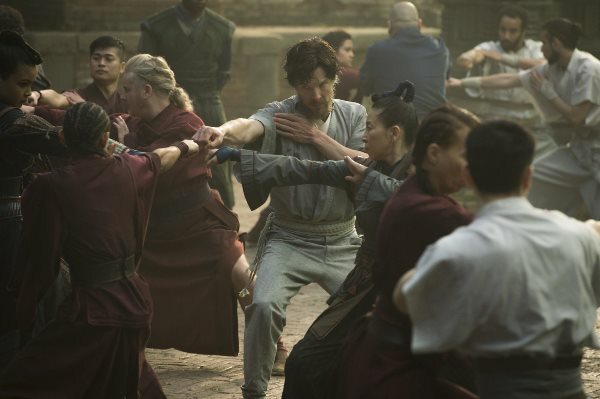 So having Dr Strange hit the screens this week, before Sherlock comes to town by the end of the year, was like Christmas, Diwali, Eid and an unexpected hartal all rolled into one for all us Benedict Cumberbatch fans the world over. Throw in the uber talented duo of Tilda Swinton and Mads Mikkelsen – to add to the already inflated nerd-crush quotient – along with the occasionally brilliant pair of Rachel McAdams and Chiwetel Ejiofor to the mix and you have got a sure shot cinematic winner. Right? Well regrettably, not actually! 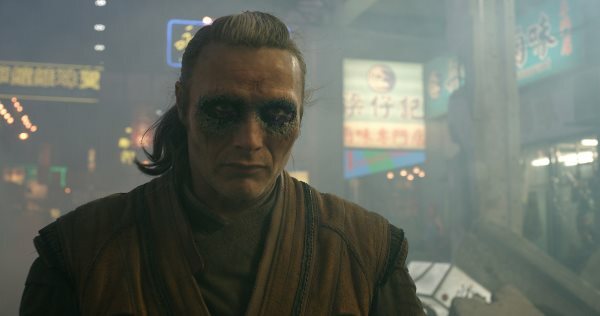 Mads Mikkelsen in Doctor Strange (2016). 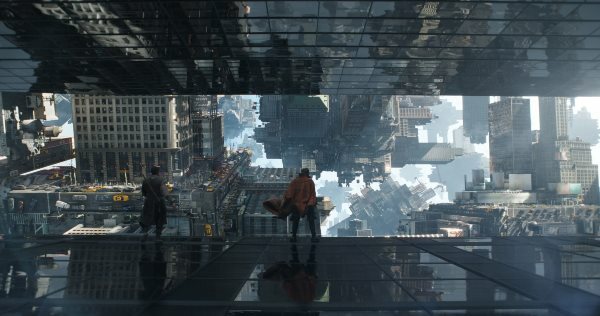 In addition to an Oscar pedigree star cast, Dr Strange has the attitude of Iron Man, the faux-spirituality of The Matrix, the absolute mind-twist visuals of Inception, and the oriental tinged back story of Batman Begins, but what it does not have is a cerebrally clever narrative backbone to carry it all. 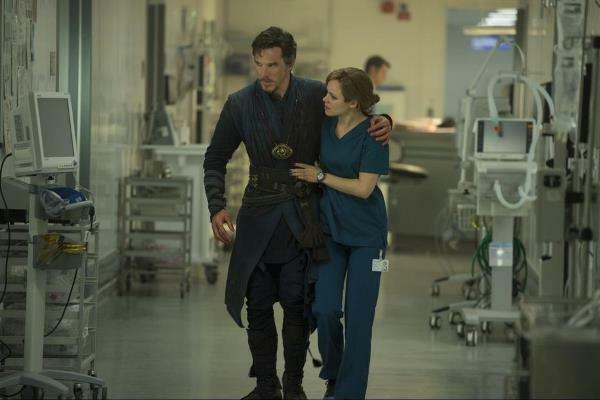 Rachel McAdams and Benedict Cumberbatch in Doctor Strange (2016). 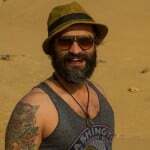 Dr Strange (Benedict Cumberbatch) is a rock-star neurosurgeon who is simply Dr House in disguise by being a cocky genius. His life, however, does a complete 180 when he badly crashes his flashy car and ruins his million-dollar surgeon hands. Desperate to restore them, Strange exhausts all medical possibilities before heading across the world to meet a – gender-flipped from the original comics – mystical healer in Nepal called the ‘Ancient One’ (Tilda Swinton). Tilda Swinton and Benedict Cumberbatch in Doctor Strange (2016). 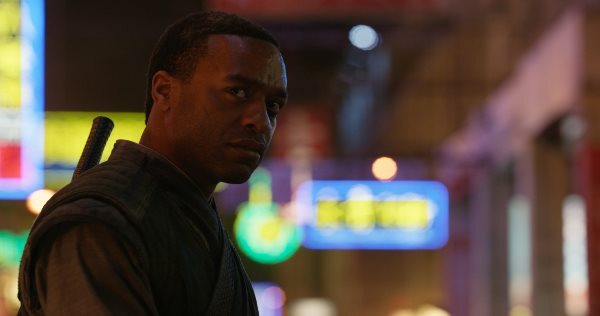 Chiwetel Ejiofor in Doctor Strange (2016). 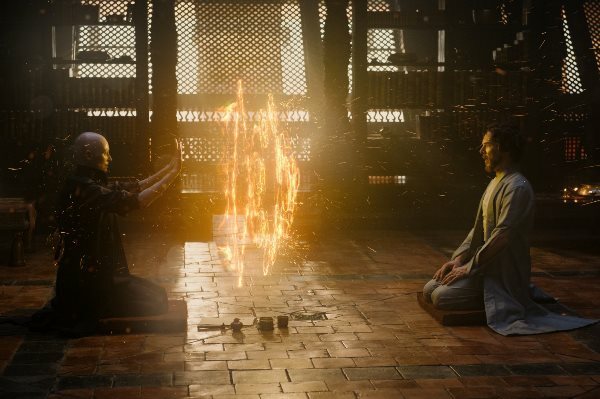 Dr Strange who was simply there to get his hands fixed, somehow ends up being tasked with protecting the earth from total annihilation by using spells as shields and out-of-body wizardry to bend time and space. I’m not sure if I can sit through any more of these superhero origin stories because all of them are so bloody similar. It is a story that feels like it has been told only a million times before. Despite the presence of a stellar cast it’s only Cumberbatch and Swinton who, as characters, stay with you long after this CGIfest ends. Also the action set-pieces might have looked tremendously unique if Christopher Nolan’s Inception never existed and it would have definitely helped had the director not vigorously rubbed this very fact by cueing up one of these mind-benders every 15 minutes for a complete over-kill. Chiwetel Ejiofor and Benedict Cumberbatch in Doctor Strange (2016). There are a couple of genuinely wow moments, but those aside, the movie at no point gives you the impression that you are watching a cinematic masterpiece. You end up feeling this pang of regret that you have yet again fallen victim to the relentless Hollywood marketing con. Every single time they somehow manage to hook you in; if it’s not the dazzling trailer, it’s an interesting casting choice. But the end result is usually the same these days. They rake in money by the bucket load and cinema aficionados are left disappointed. Benedict Cumberbatch in Doctor Strange (2016). 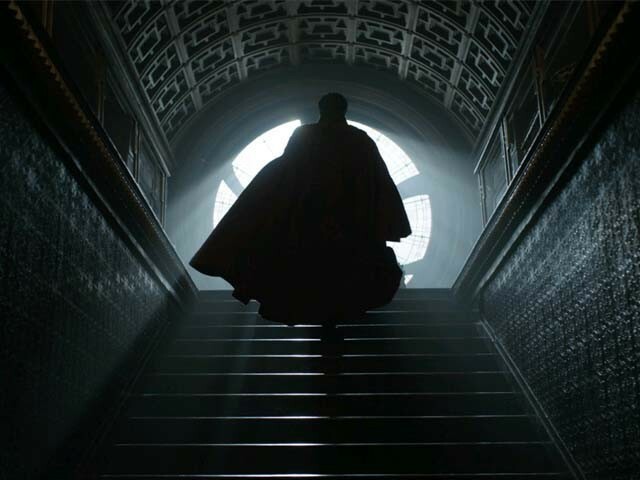 With Benedict Cumberbatch already roped in as the protagonist, the ultra fascinating character of Dr Strange could have been a real (infinity) gem in the crown of Marvel. But alas this latest installment from the MCU (Marvel Cinematic Universe) simply ends being, ermm, strangely standard. Favourite Marvel Cinematic Universe character?